First Presbyterian Church of Chicago was founded in 1833, the same year Chicago was incorporated. 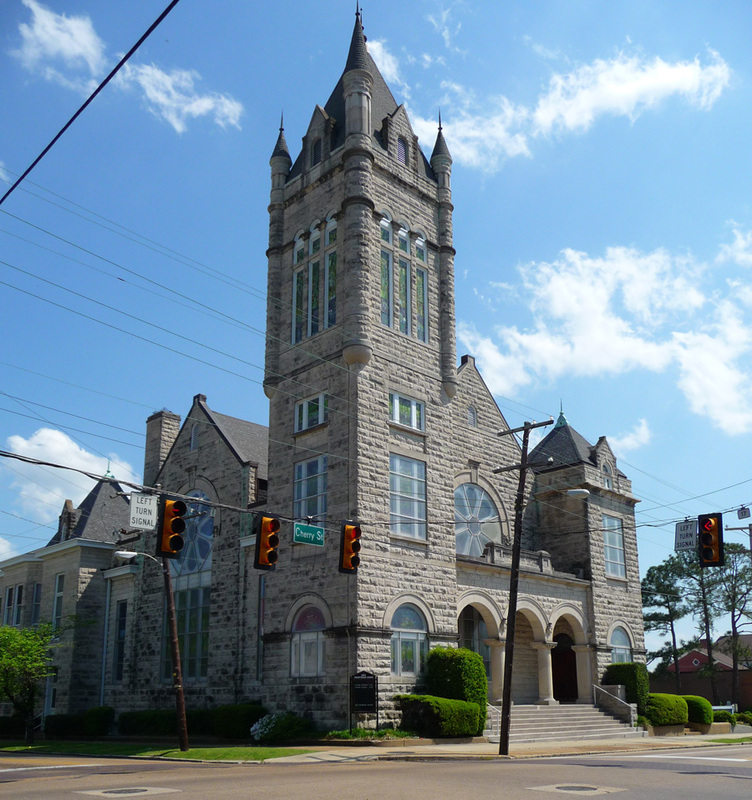 The current Gothic-Revival building was commissioned shortly after a merger with Woodlawn Park Presbyterian Church. The 125-foot tower, guarded at the top by the four archangels, imparts an Art Deco sensibility. The dark sanctuary has heavy oak beams and is dominated by a unique reredos resembling a Gothic church tower. An intimate chapel is paneled in oak with a richly sculpted plaster ceiling and stained-glass windows by Willett Studios. 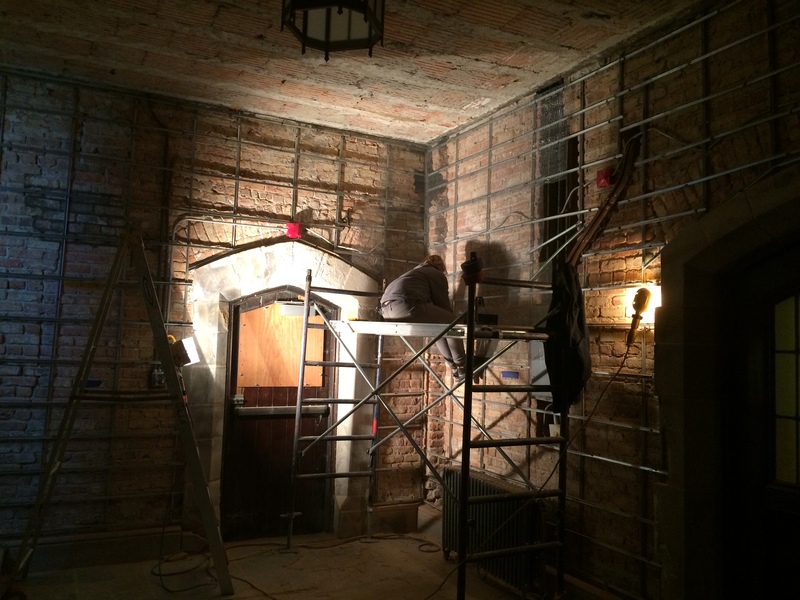 Years of service took their own – the church needed a restoration. We strongly advised completing exterior repairs and restoration works prior to attempting to repair interiors, as the interior issues overwhelmingly stemmed from water ingress. We have repointed and repaired damaged exterior stones, along with roofs and guttering systems. The central portion of the facade from the level of the sill of the great window to the wallhead on East and South elevations has been repointed. On North and West elevations we have repointed wall from the wall head to button of window. The parapet on bay (over Pastor’s Office) has been rebuilt. The majority of restoration work in the interiors of the various spaces was to repair damage caused by moisture ingress and very high levels of efflorescence. All plaster repairs in an area that was previously painted have been repainted with a breathable, lime-based paint in a matching color. In Sanctuary we have repaired stone mullions: center window on South wall and the Eastmost window on the North wall, using patching material and re-instatement of salvaged original stone shard as appropriate. We have neutralized salt and efflorescence and repaired plaster to areas as necessary on all levels of the stairwell at the North, South, East and West of the administrative block.